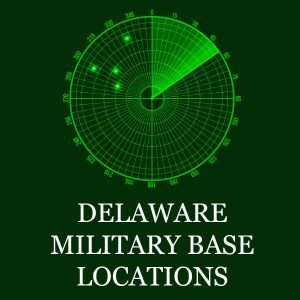 There are very few military bases in Delaware. The two primary locations include the Dover Air Force Base and the Delaware Air National Guard Base in New Castle. Between these two military bases there are 3,300 active duty members and 5,000 reserve forces stationed in Delaware. Delaware is in a strategic military location on the Delaware Bay with easy access to the Atlantic ocean by boat. The military bases in Delaware are also close to Washington, D.C., Baltimore and Philadelphia. If you are considering transferring to a Delaware military base, you won’t be disappointed. The area offers beautiful beaches, colonial architecture and big city life just a short drive away. As you can see, the Air Force Base in Dover, DE is the most important military base in Delaware. There are approximately 3,100 military, 1,100 civilians and 1,700 reservists assigned to Dover Air Force Base. The base has a total force strength (active duty, Guard, Reserve, civilians, and dependents) of approximately 11,000. The local economic impact is of the base is approximately $590 million per year according to the military. Dover AFB ranks in the top 10 of Delaware’s largest employers, making it a significant contributor to the local economy.